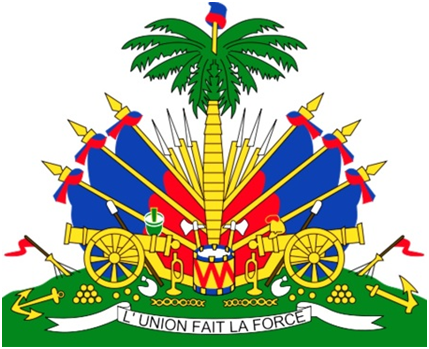 Forum hosted by Government of Haiti. 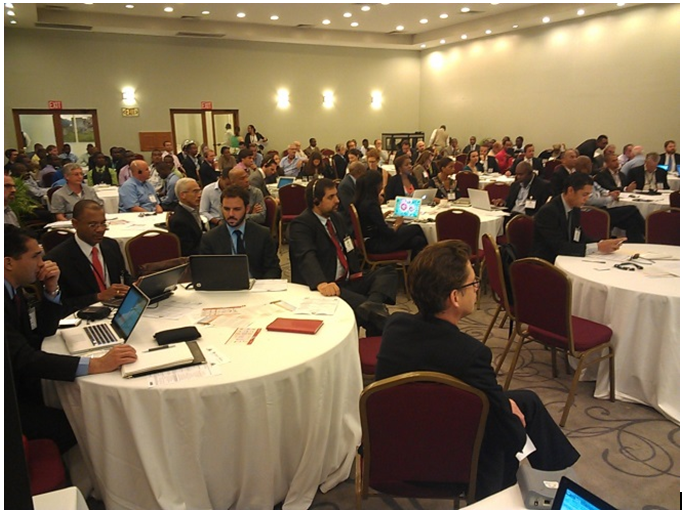 IDB (Inter-American Development Bank), World Bank Group and Sustainable Energy for All (SE4ALL) Supports this event. Event organized by New Energy Event, LLC. 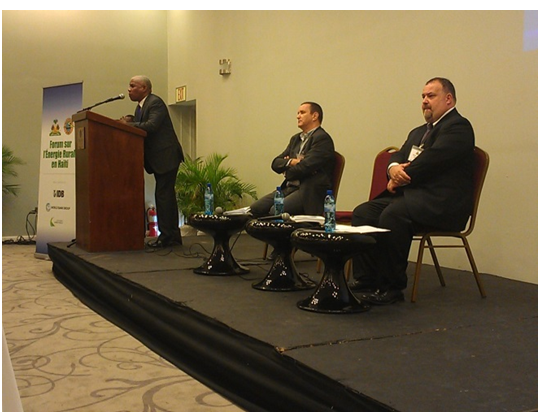 Jacques Rousseau Haiti Minister of Public Works, Transport, Energy & Communications begins the forum with welcoming remarks. 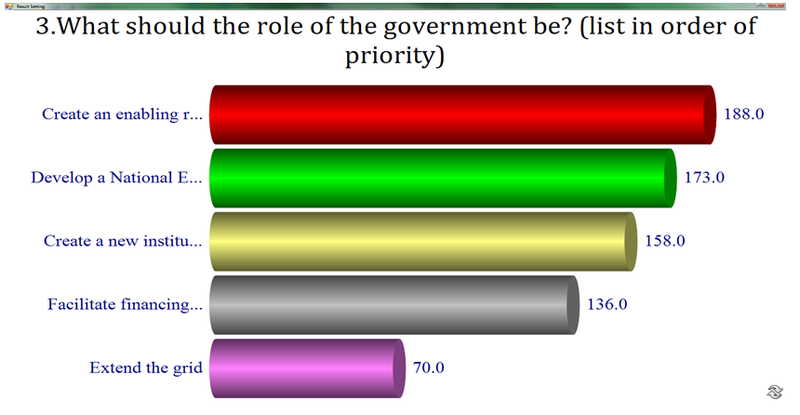 At the beginning of each session an opinion poll was taken. 2. Develop a National Electrification Strategy / Plan. 3. Seek financing to facilitate rural energy projects. 4. Create a new institution in charge of rural energy. The event coordinators were able to use a special software to ensure a quick voting process. In order to simplify the voting process they used a wireless voting keypad, known as an Audience Response System (ARS), as part of a voting solution. 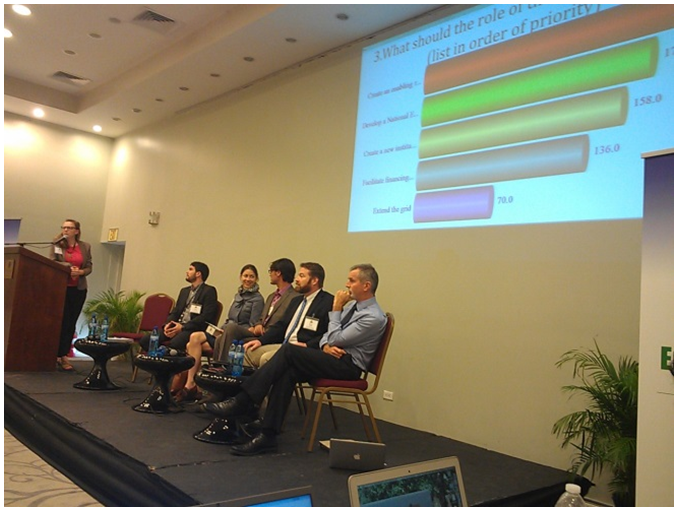 The audience used the PowerCom RF1 clicker to select their ranking priority. The voting was counted in real-time. 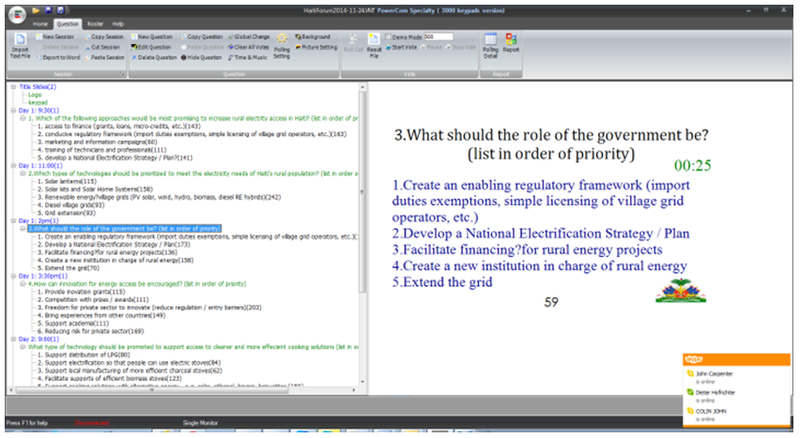 After the voting for that question concluded, the audience was able to view the final answers on a large screen. After the results came in the session focused on discussing the topic. The organizer invited several energy experts as panelist to make presentations, share their opinions and answer questions. 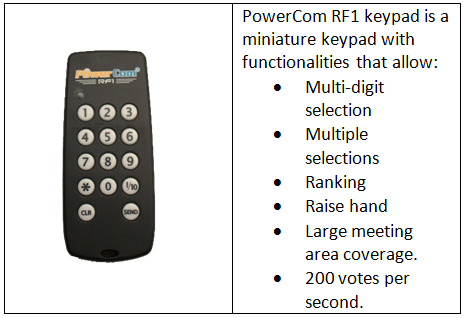 By using PowerCom interactive keypad, the meeting effectively creates interaction and opinion sharing. The audience gave their opinion. The event achieves practical and successful results through audience interaction.